Learning a foreign language has many benefits including improved cognitive abilities, a better understanding of language in general, and increased job opportunities. Plus, it’s pretty neat when you can speak to someone in another language. Being able to communicate is a big part of what makes us human. We’ve had a goal of learning a new language for a while now but the biggest hurdle to overcome has been that I don’t know a second language. And I cannot teach something I don’t know. So the search for great language programs has been on. 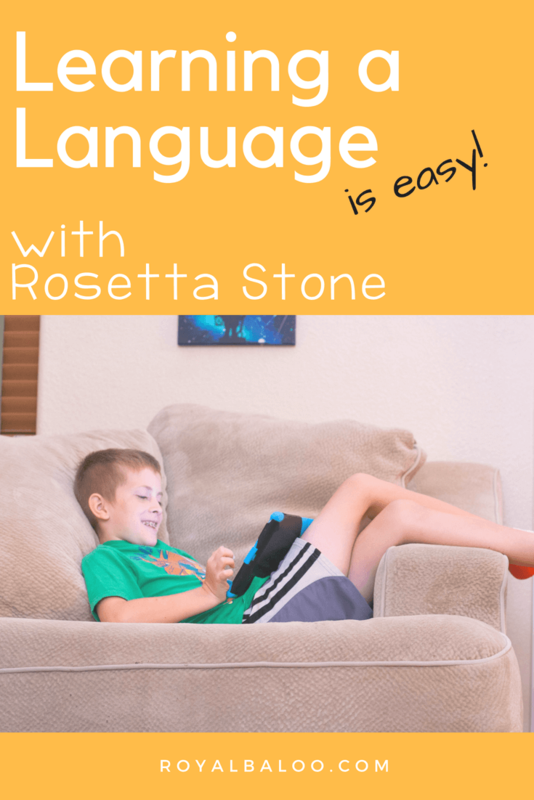 We found Rosetta Stone Homeschool and thought it would be a great way to learn a new language! Rosetta Stone has been the gold standard of learning a new language for as long as I remember. It was really exciting when they came out with their homeschool program so we could share their method with our kids. I’ve always wanted to at least introduce my kids to a new language but since I am not fluent in a second language it’s been hard. It’s also been a struggle to find a great program that they can use, that they find interesting, and that actually teaches them a second language. Rosetta Stone Homeschool covers all of those points. We were very excited to give it a try and see what they could learn. So far, Baloo (11) has been working on his Russian and he’s taken to explaining the nuances of some words and phrases. Royal (9) and Logi-Bear (7) have both decided they want to learn Spanish better. They’ve enjoyed surprising their grandfather with new words they’ve learned. It’s been repeatedly shown that the best way to learn a new language is to be immersed in that language. Of course, spending most of our time around fluent speakers of that language would be the best way to learn. But barring that opportunity, a program that uses the practice of immersion is the best type. Being fluent in a language means that you aren’t translating the language in your head. If you read a word in another language and have to think of its English counterpart, you’re not going to be able to have a real conversation. So programs that teach language without translating are going to make learning that language easier. Rosetta Stone accomplishes this by demonstrating words with pictures. For instance, in Spanish it starts with showing a picture of a boy and saying ‘el nino’ and a girl while saying ‘la nina’. Instead of thinking ‘girl is la nina’ we see the picture of a girl and think ‘la nina’. I also think immersion based learning is more interesting. In school, learning a language was often reading translations in a book. Watching videos and interacting with words and phrases is much more interesting. 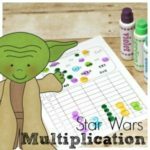 My kids expect learning to be fun since that is a main focus in our homeschool. I knew the language program for them would have to be interesting or engaging for them. When they asked to work on their Spanish with Rosetta Stone I knew we were on the right track. I love that my kids can speak the language into their microphones and receive feedback. The better they say the phrase, the better the feedback. It’s gotten them actively engaged in the language instead of just running through the lessons. I feel like saying the words and phrases out loud is a vital part of the process. Listening and reading another language is great. But also saying the words rounds out the process. When watching my kids at their lessons, I’ve noticed they don’t really repeat the phrases unless prompted. So I’m glad there is a part of the program that requires them to speak the language aloud. I’ve already noticed how much their pronunciation has improved. Sometimes sitting down for a long lesson isn’t possible. Either we are short on time or short on patience. So I love when lessons can be short. It gives us the option to learn for 5 minutes or 30 minutes, or however long we are up for the lessons. Some days we may have an appointment to get to so we tend to not start any longer lessons. I like to know I can finish our work before starting. The short lessons are perfect on those days. Plus, a lot of the information is repeated multiple times. So even when they don’t get it the first time I know the program will get to it again. My kids are computer gamers but getting to learn on a phone or tablet is much preferred to a PC. Any time I can get an app for school work they are pretty excited. So I was thrilled to find out that Rosetta Stone has an app that matches the computer program exactly. And they sync together! They’ve gone back and forth constantly between computer, tablet, and phone and it always starts them in the correct place. I love that we can get stuck at the doctor and they can easily work on learning a language. Win 12 Months of Rosetta Stone! You can win a 12 month subscription to Rosetta Stone! Choose from 24 different languages and get access for a full year. Ready to introduce your child to a new language? Visit Rosetta Stone today to see the 24 language options!